Red Clouds at Day … Stay Far Away? 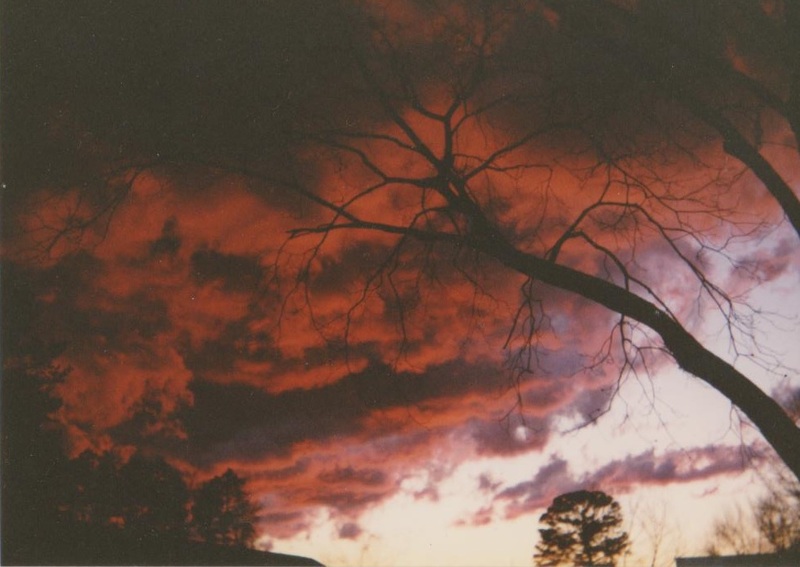 This is a photo that I took in the mid-1990’s, probably 1994 but maybe 1995, around 5pm in eastern North Carolina. These ominous-looking red clouds suddenly appeared and were rapidly rolling through the sky. It was one of the most impressive sky phenomena that I’ve ever seen, and just a little scary. As I didn’t have a video recorder at the time, a snapshot was the best I could do to record it. For a bit of pareidolia, I see a large frontal face to the left of the limb, and another, milder-looking one in profile to its left.